One unique fact about Kootenay Lake is it never completely freezes in the winter, so at any time during the year, you could enjoy typical summer activities like paddling, fishing, sailing (or even swimming) with the proper gear. We were reminded of this by local historian Tom Lymbery from the Gray Creek Store, who let us know - "In my 90 years at Gray Creek on the eastern shore I saw part of Crawford Bay freeze in January 1951 but never any ice on the main lake". So clearly, we can lay claim that Kootenay Lake is 'BC's Largest Ice-Free Lake'. But what really makes this lake remarkable are the tight-knit communities that line its shore. Here's what makes them so special. If you haven’t been into the Gray Creek Store, you are missing out. It is one of the most quirky and interesting shops on the planet. The store is jam-packed with anything you might need when visiting the area. And, interestingly enough, the shop has never transitioned to the metric system; it still uses the original imperial system. Other interesting finds along this route include, the Glass House near Boswell/Sanca. It is built with over 500,000 embalming jars. Also, be sure to check out the many talented artisans in Crawford Bay, the lighthouse at Pilot Bay Provincial Park and the sandy shores of Riondel and Garland Bay. 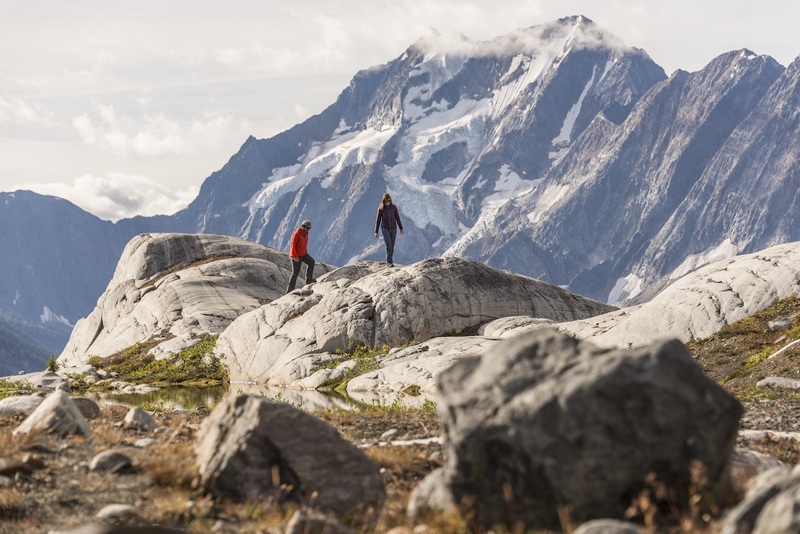 Nelson is known for its distinctive mountain and cultural vibe. Creativity and passion flow naturally in the ‘Queen City’. “On any given day in Nelson, you’ll find an eclectic crew", says local Gina Begin. You can see the town's personality, through its street music, varied restaurants, locally made clothing and local books and magazines. With over a dozen local coffee shops and more restaurants per-capita in any other Kootenay town – Nelson continues to grow and impress both locals and visitors. This popular shoreline drive connects Nelson to Balfour, Ainsworth and Kaslo. Beautiful views of Kootenay Lake are prominent. The drive offers access to two ferries: the Proctor/Harrop that accesses these two communities and the Balfour Ferry landing that connects Kootenay Bay and the communities along the East Shore. Both ferries are free, but it’s the Kootenay Lake Ferry (Balfour to Kootenay Bay) that is famous for being the ‘Longest Free Scenic Ferry Ride in the World’ (with a 35-minute sailing time). Another remarkable attraction along the route is Ainsworth Hot Spring and its horse-shoe shaped cave. Wellness bathers can soak in the natural pool or explore the steam cave with stalactites dripping from the ceiling. Inside the cave at Ainsworth Hot Springs Resort; photo courtesy of the resort. And not to be forgotten is the SS Moyie, the oldest surviving intact passenger sternwheelers in the world. Berthed at the edge of Kootenay Lake, this vessel rest permanently in her former port at Kaslo. Owned and operated by the Canadian Pacific Railway, the SS Moyie plied the waters of Kootenay Lake for nearly 60 years. At the north end of Kootenay Lake, the very small settlements of Lardeau, Cooper Creek, Argenta and Johnsons Landing have a combined population of well under 1,000. The area was first settled by prospectors in search of riches, followed by homesteaders in the early 1900s. They were followed by residents who wanted to get back to nature or build sustainable communities. These settlements celebrate a more raw, natural environment. These secluded areas are also a starting point to many outstanding vista hikes, including, Mt. Loki, Monique Meadows, MacBeth Glacier,Jumbo Pass and the Earl Grey Pass. 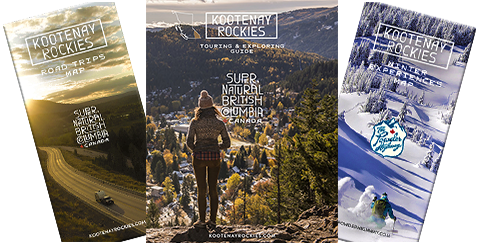 Story by a KootRocks Staffer; top/cover photo by Dave Heath (Kootenay Lake Ferry).